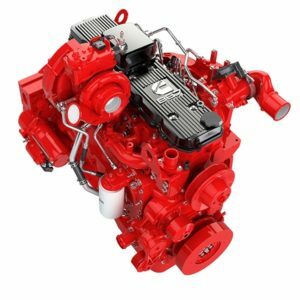 Cummins has announced that its B4.5, B6.7 and L9 engine platforms are compatible with paraffinic renewable diesel fuels meeting the EN 15940 specification. Compared with conventional fossil-based diesel, paraffinic diesel fuels offer the potential to reduce greenhouse gas (GHG) emissions by between 40 and 90%. Paraffinic diesel fuels can be used as a 100% substitute for standard ultra-low sulfur diesel (ULSD) without requiring any change to the engine. No additional engine maintenance is required and the same fuel filters are retained. Paraffinic diesel can be easily blended with standard diesel at varying percentages, including winter-grade fuels, and has the same stability and cold properties as conventional diesel, which means it can be used and stored in the same ways. Depending on the application and the engine duty cycle, a fuel economy detriment of less than 6% may be expected due to the lower density of paraffinic fuels compared with regular diesel fuel. The post Compatible with renewable diesel fuel appeared first on EE Publishers.